Most of the people waiting in line for their tickets at Tate Modern are here for the much-lauded Picasso 1932 exhibition. But, on the same floor of the gallery, is a new show, Shape of Light, that provides a massive contrast in terms of the breadth of its timeframe. While the Picasso focuses on one year of the great artist’s life and work, Shape of Light attempts to represent the relationship between photography and abstract art over 100 years or more. Laid out chronologically across 12 rooms, you progress from early photographic experiments in the first part of the 20th Century, through to the full-on digital innovation from today’s artists, including Maya Rochat, Daisuke Yokota, and Antony Cairns. Rochat’s A Rock is a River installation, created specifically for this exhibition, is one of the more impressive works on show. On the journey from the photography of New York in the 1900s, through Russia and the Bauhaus movement in Germany, onto Modernism and then 1960s and 70s minimalism, the juxtaposition of painting and photography includes works from Joan Miró, Jackson Pollock, Georges Braque and Aaron Siskind amongst many others. 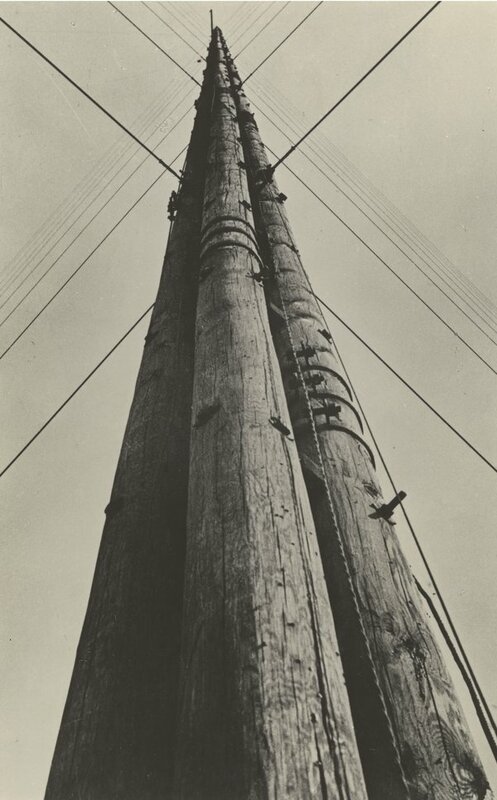 Aleksandr Rodchekndo, Radio Station Power, 1929, Lent by Jack Kirkland Collection, Nottingham © Rodchenko & V Stepanova Archive. There’s a lot to see – 350 works by 100 artists – and to take in. There’s plenty of exploration of the use of textures, light, and shapes to recreate unconscious states but the emphasis is very much on the abstract, so if you’re after representations of people, humanity, and civilisation then avoid this exhibition. Man Ray, Rayograph, 1922, Private Collection © Man Ray Trust/ADAGP, Paris and DACS, London 2018. Much is made by the curators of Man Ray’s series of enlarged Polaroids, Unconcerned Photographs, displayed for the first time in over 50 years. The swirly, blurred, effects were produced by the artist swinging his Polaroid camera at random in his studio. A result that you can attempt to recreate this evening by sinking a few Heinekens and spinning around a dingy basement bar, or your bedroom, with the iPhone’s camera switched on. The Man Ray stuff highlights that, while Shape of Light is a must for those fascinated by the evolution of artistic process, it’s a tad too technical for the average gallery crawler. But if you fancy yourself as slicker than your average gallery crawler, by all means have a gander.